McLean's early work was figurative but changed dramatically following a visit he made to New York in 1982 where he was inspired by the work of American abstract colourists including Jules Olitski, Jack Bush and Larry Poons. 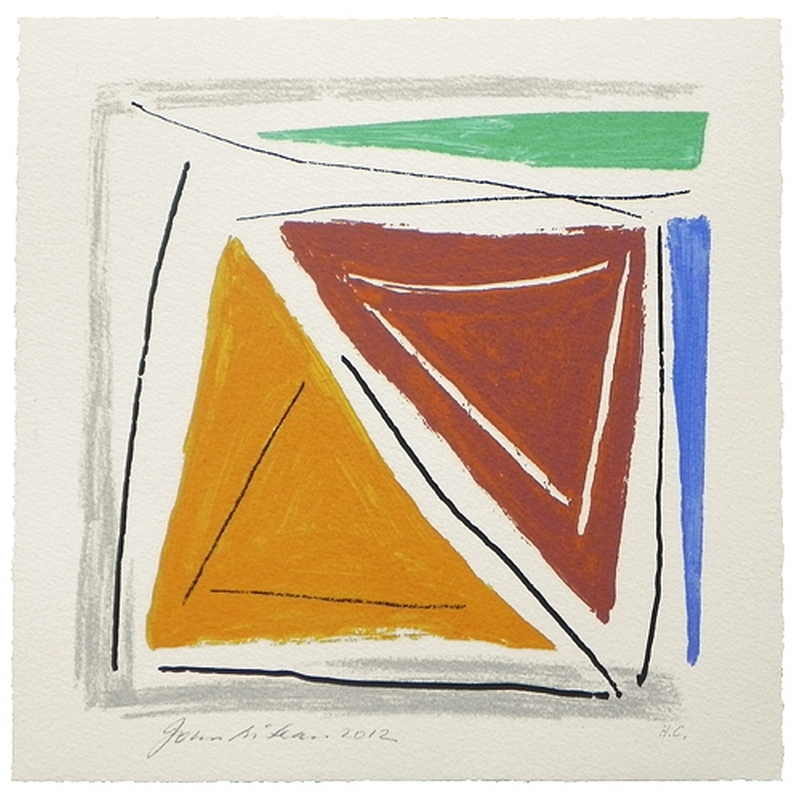 This screenprint demonstrates his focus on the basic elements of colour, form and line which have been the essential components of his painting for the last thirty-five years. He also explores the emotional dimensions of colour seeking to express feelings such as joy and elation. His titles are always added after the completion of a work; Clashindarroch is the name of a large forest not far from the place of his birth.